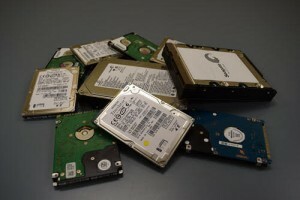 Departments: Hard Drive Recycling Day is 8:30-11 a.m. Tuesday, Oct. 31, on the Manhattan campus to help properly dispose of old hard drives from university computers. K-State students, faculty, and staff can check out multimedia equipment such as laptops, digital camcorders, digital cameras, projectors and more for academic purposes. 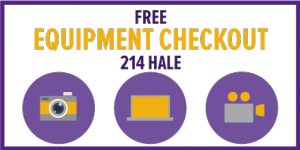 Equipment reservations can be made by calling 785-532-4918 or emailing itacrecp@k-state.edu. Equipment can be picked up at 214 Hale Library. A K-State ID is required to verify identity. See the Equipment Checkout website for details on polices, procedures, and available equipment. 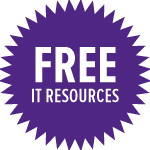 Questions about IT resources can be directed to the IT Help Desk, helpdesk@k-state.edu, 785-532-7722. You can also search the IT Knowledge Base. Hard Drive Recycling Day is scheduled 8:30-11 a.m. Tuesday, Oct. 3, on the Manhattan campus to help departments properly dispose of old hard drives from university computers. Did you know you can check out multimedia equipment for free? K-State students, faculty, and staff can check out multimedia equipment such as laptops, digital camcorders, digital cameras, projectors and more for academic purposes. Equipment can be checked out for up to three days, and a K-State ID is required to verify identity. See the Equipment Checkout website to see what equipment is available and to learn about the checkout procedures and policies.